This charmingl debut for Aardman's claymation duo is a small adventure fuelled by a huge heart. “Cheese! We’ll go somewhere where’s there’s cheese!” That’s the sound of Britain’s most food-oriented inventor coming up with a last-minute idea for a vacation. There’s no questioning his logic, but it’s served sliced neatly on a cracker with a side dish of naivety that gets right to the heart of what makes A Grand Day Out so charming – and why t turned its central claymation couple into instant national treasures. The dynamically moulded duo are, of course, Wallace and Gromit, a one-man-and-his-dog double-act that have the slapstick precision of Laurel and Hardy, the studied silliness of Mitchell and Webb and the familiar home comfort of Jack and Vera Duckworth off Coronation Street. Voiced perfectly, warmly and amusingly by Peter Sallis, Wallace is a hapless eccentric who makes up for being smart and skilled with a screwdriver by being childishly clumsy and endearingly grounded; there’s something wonderfully sweet about a man who can take himself to the moon, but only does it so he can sit at home with a bit of his favourite fromage. He’s matched flawlessly by Gromit, a wordless figure whose overly expressive eyebrows and unpredictably flappable ears say everything we need to know about what he’s thinking; he’s a fine sidekick in the tradition of the smart companion sighing silently at his dimwitted friend. But friend he is nonetheless, and so when Wallace’s simple intellect deduces that the moon – which, as we all know, is made of cheese – is the ideal place to go to replenish their stock, he helps him do the impossible: assemble a rocket ship. There’s a Maurice Sendak-like magic in seeing such a creation standing in the basement of their cosy home, and director Nick Park doesn’t hold back on his fantastical imagination; their tinkering, hammering, nailing and blasting off is watched by a coterie of cute mice, who don metal helmets and goggles when the rocket’s engines ignite – lit, of course, by a match from the kitchen. 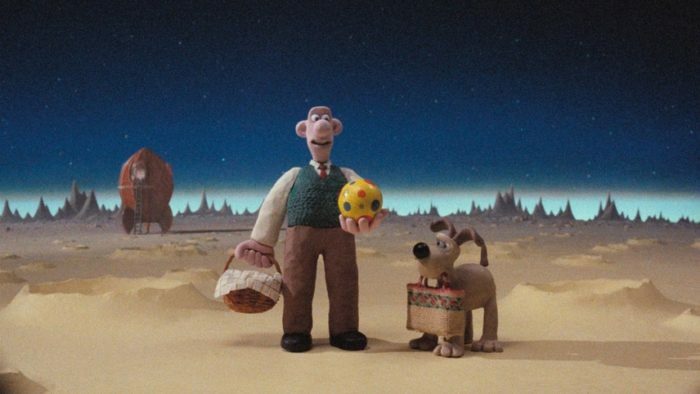 Once at the moon, the wondrous mundanity continues, as Wallace and Gromit sit down with their beach paraphernalia to enjoy some freshly cut local produce. They’re watched, though, by a parking meter who begins to take an interest in their activity. He is, needless to say, not a threat, but another potential acquaintance; his excitement about maintaining high standards of sanitation (even Wallace and Gromit’s aliens are quaintly British) is only surpassed by his excitement at seeing two people walking on his remote home. Cutting away from our leads to enjoy his similarly silent antics, which unfold with a Charlie Chaplin-esque sense of melancholy, is once again a move that defines the appeal of Aardman’s animation; this short film is powered less by plot and more by old-fashioned heart. That, however, wouldn’t always be true of Wallace and Gromit. 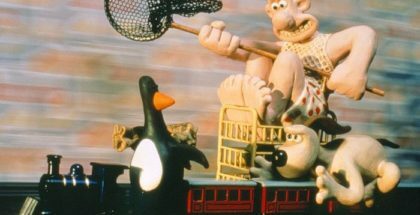 Indeed, Nick Park’s original plan was to make a 40-minute adventure that would see our pair end up in a fast food restaurant not unlike Star Wars’ Mos Eisley cantina, and even spark an impromptu prison break. Scaling it down for something more practical, though, is the best decision Park could have made for his directorial debut, and the result is something sweeter, purer and more unabashedly sentimental than Wallace and Gromit’s latest escapades. 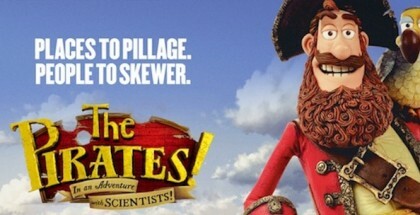 While A Close Shave and The Wrong Trousers would boast jaw-dropping stunts and smoother animation, this stripped-down story of two mates going into orbit in search of some afternoon snacks is laced with a wistful sense of hope that sums up why Wallace and Gromit remain popular characters even 30 years after their debut. That was at the Bristol Animation Festival on 4th November 1989. 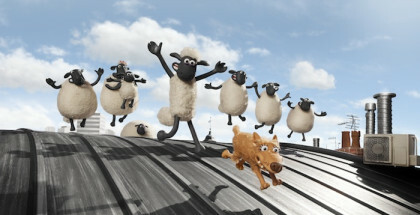 The result announced Aardman Animations as a distinctive, and distinctly British, stop-motion studio to watch out for in the future, eventually going on to be nominated for the Oscar for Best Animated Short Film. It says all you need to know that it lost out only to Creature Comforts, which Aardman also made that year. A Grand Day Out is available on Netflix UK, as part of £7.99 monthly subscription. Where can I watch A Grand Day Out on pay-per-view VOD?